With 2015 coming to a close, you might be curious to see what you have to look forward to in the new year. From exciting new concepts to remakes of classic films, here are 20 of the most anticipated movies of 2016! “The Revenant” is one of the most talked about movies in contention for the 2015–16 award season. From Academy Award-winning director Alejandro Ińárritu (“Birdman or (The Unexpected Virtue of Ignorance)”) and based on true events, Leonardo DiCaprio stars as Hugh Glass, a man struggling to survive and track down the hunter (Tom Hardy) who left him to die after being attacked by a bear. The haunting trailer has viewers everywhere wondering if this will finally be the project to win DiCaprio his long-awaited Oscar. What’s better than a movie about making a movie? The Coen brothers’ latest film “Hail, Caesar!” boasts some of Hollywood’s most prominent actors including George Clooney, Scarlett Johansson, Jonah Hill, Josh Brolin, Tilda Swinton, and Channing Tatum. Brolin stars as the public relations “fixer” in charge of rescuing a kidnapped superstar (Clooney) and keeping the story out of the press. Ryan Reynolds stars as Wade Wilson (aka Deadpool) in one of Marvel’s only R-rated superhero movies. The dark and sarcastic superhero is brought to life in the film after undergoing an experiment to cure his cancer. After the experiment goes wrong, Deadpool sets out to get revenge on the man who almost killed him. Ben Stiller and Owen Wilson are reuniting early next year for the long-awaited sequel to the 2001 comedy “Zoolander.” They reprise their roles as Derek Zoolander and Hansel McDonald to put a stop to the person who is killing the “world’s most beautiful people.” Singers Justin Bieber, Ariana Grande, and Demi Lovato all make cameos in the hilarious new film. It’s hard to find love in New York City! In the upcoming romantic comedy “How to Be Single,” Dakota Johnson, Rebel Wilson, Alison Brie, and Leslie Mann hilariously star as single women trying to navigate the complicated world of relationships. “Thor” star Tom Hiddleston plays singer-songwriter Hank Williams in the biopic of his life alongside Elizabeth Olsen as his wife Audrey. In addition to mastering his accent, Hiddleston sings many of Williams’ hits in “I Saw the Light.” Sony Pictures Classics originally intended to release the film in late November, but decided to push it forward to early 2016. Another highly anticipated superhero film, “Batman v Superman: Dawn of Justice” pits two of the most beloved heroes against each other in a fight for justice. Henry Cavill and Amy Adams reprise their “Man of Steel” roles as Superman and Lois Lane, while Ben Affleck jumps on board as Batman in what is sure to have fans flocking to theaters. Walt Disney Studios is set to re-release the classic story of the boy who lives amongst animals, in a live-action/CGI version of “The Jungle Book.” Scarlett Johansson, Lupita Nyong’o, Bill Murray, and Idris Elba all lend their voices to the film, which is set to be released in mid-April. Joseph Gordon-Levitt stars as former CIA employee Edward Snowden, one of the most infamous men in modern American history, in the film based off of Luke Harding’s book “The Snowden Files.” The film was set to be released earlier this fall, but will instead be released in 2016, giving audiences something to look forward to in the new year. Could the film be an Oscar contender? We’ll have to wait to find out! One of Disney/Pixar’s most beloved characters is getting her own sequel in 2016! “Finding Dory” is the highly anticipated sequel to the Oscar-winning 2003 film “Finding Nemo.” Ellen DeGeneres will return to voice the forgetful fish, who this time, sets out to find her family with the help of Nemo and his dad Marlin. Based on the children’s book of the same name, “The BFG” is the story of the Big Friendly Giant, who unlike other giants, refuses to eat children. Steven Spielberg serves as director for this family-friendly film, which stars Bill Hader, Rebecca Hall, and Mark Rylance. If you think you know everything there is to know about Tarzan, you may want to think again. Director David Yates of the “Harry Potter” franchise is bringing the classic story to life in a new and exciting way next year. Alexander Skarsgård stars as Tarzan, who, after spending years in London, returns to the jungle to “investigate a mining encampment.” Margot Robbie, Christoph Waltz, and Samuel L. Jackson round out the cast for what is sure to be a very different spin on Tarzan’s story. Who you gonna call? The reimagined and hilarious female cast of “Ghostbusters!” Kristen Wiig, Melissa McCarthy, and “Saturday Night Live” stars Kate McKinnon and Leslie Jones lead the cast of the cast of the new film, due in theaters next summer. “Crazy, Stupid, Love.” stars Emma Stone and Ryan Gosling are reuniting in “La La Land” next year. The film, from “Whiplash” director Damien Chazelle, tells the love story of a jazz pianist and an aspiring actor. “American Horror Story” actor Finn Wittrock also stars in the film alongside J.K. Simmons and John Legend. “Suicide Squad” is one of DC Comic’s most anticipated films. But this time, the roles are reversed and the superheroes aren’t the ones in charge! “Suicide Squad” is the story of a league of super villains who are recruited by the government for a dangerous mission. 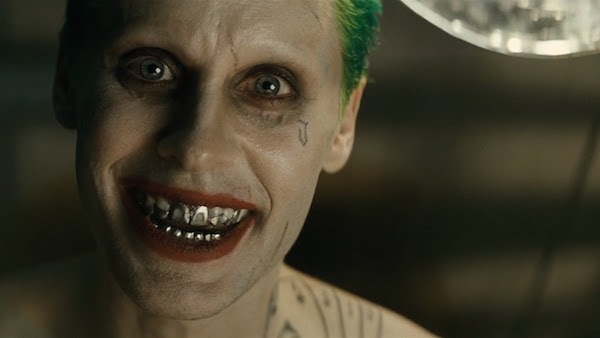 The film stars Will Smith, Margot Robbie, and of course, Jared Leto as the Joker. “Inferno” is the newest installment of the book series by Dan Brown that brought audiences “The Da Vinci Code” and “Angels & Demons.” Tom Hanks is set to reprise his role as Robert Langdon, who wakes up in a hospital room in Italy with no recollection of how he got there. Ron Howard will also return to direct the third film in the series. Benedict Cumberbatch plays the title character in Marvel’s upcoming film “Doctor Strange,” opposite Rachel McAdams and Tilda Swinton. The film follows a surgeon who is trained by a sorcerer to fight evil. Not much more is known about “Doctor Strange” at this time, but it will be the first Marvel movie to deal with the concept of magic. It will be an exciting year for “Harry Potter” fans when the prequel, “Fantastic Beasts and Where to Find Them,” arrives on the big screen. Oscar-winner Eddie Redmayne stars as Newt Scamander, a writer in New York’s community of witches and wizards. Although the release date has not yet been announced, “Passengers” is already one of the most buzzed about movies of 2016. And with names like Chris Pratt and Jennifer Lawrence on board, it’s sure to be a hit! The pair play passengers on a spacecraft headed to another planet. When Pratt’s sleep chamber is disturbed and he wakes up 60 years early, he makes the decision to wake up Lawrence’s character, Aurora. How can you go wrong with a Martin Scorsese-directed film? “Silence” is the story of two Jesuit priests, played by Andrew Garfield and Adam Driver, who face persecution after traveling to Japan to spread Christianity.